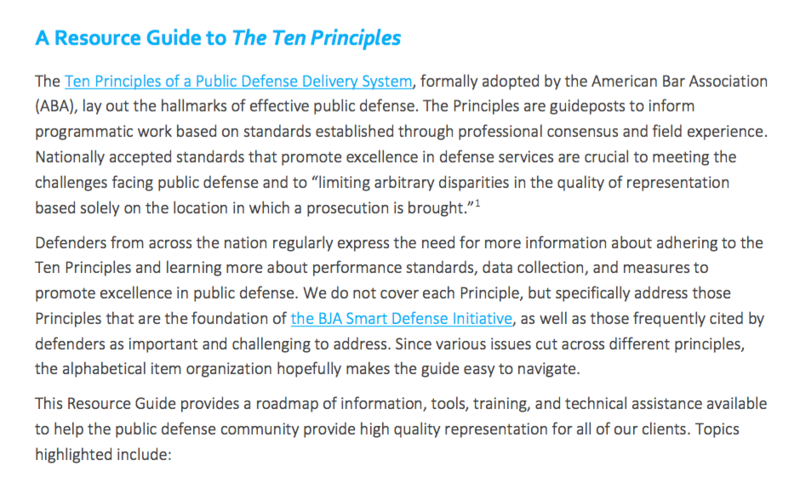 Administered by the Bureau of Justice Assistance of the U.S. Department of Justice, Office of Justice Programs, the Smart Defense Initiative pairs public defense practitioners with researchers, technologists, and national experts to develop, implement, and test data-driven stragies for creating fairer and more effective justice systems. For more information, visit www.smartdefenseinitiative.org. NLADA also provides information and technical assistance to defenders, researchers, and other stakeholders upon request. Contact [email protected] to submit a question about designing a research project, securing funding, or any other aspect of improving your public defense system. An overview of the projects and preliminary findings of the six Smart Defense sites. New opportunities for training and technical assistance for data-driven public defense projects.